We sent Britain the Walker Brothers and they sent us Chad and Jeremy. 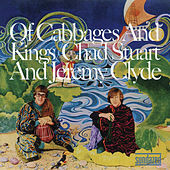 This English duo benefited from the Beatles' popularity, but they were closer to Folk Pop acts such as Peter and Gordon...or Simon and Garfunkel without the brilliance. Still, their tunes offer up plenty of breezy whimsy, and the youth of today have found new interest in their work after the wonderful "Summer Song" was featured in Rushmore. 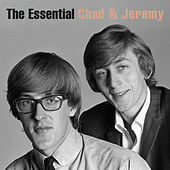 To top off a slew of Top-10 U.S. singles, Chad and Jeremy did a hilarious guest spot on the Batman TV show that cleverly mocked Beatlemania.